“Only a life lived in service to others is worth living.”Let me be as Christ to you. “If you can’t feed a hundred people, then feed just one.”Let me be as Christ to you. you will have succeeded.”(Maya Angelou)Let me be as Christ to you. “He who helps in saving others, saves himself as well.”Let me be as Christ to you. From pride in power,Deliver us, O Lord. From harmful ambition,Deliver us, O Lord. From seeking first place,Deliver us, O Lord. May we serve with humility, Hear us, O Lord. May we know the first shall be last, Hear us, O Lord. May we share Jesus’ cup and baptism, Hear us, O Lord. Servant-hood is an attitude of the mind. Lord, fill my mind with humble service. Amen. Why were the ten apostles disturbed with James and John? Why does Jesus repeat so often his prediction of suffering, dying, and rising? What are some of the ways you can be servant to others? Have you experienced “climbers” in your workplace? How did you and others react? Why does scripture say “give his life as a ransom for many” rather than all? Thank you for reminding us to put on the mind of Christ. 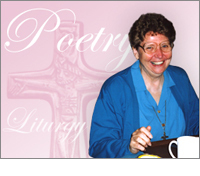 Sr. Helen, having the mind of Christ frees us to use our hands in giving to those in need. It also frees our heart to love all peoples. Finally, with the mind of Christ we will walk his way. Thank you for the gentle reminder that the “bottom line” is service. I’m reminded of St. Teresa of Avila’s words to her nuns: “The goal of our prayer is good works, good works, good works.” Keep up your “good work” of writing! I hope it is alright for us to use this beautiful prayer poem next week (Easter 2, 2014) at our ecumenical daily chapel service at the Lutheran School of Theology in Hong Kong. Student and faculty participants in worship include men and women from Hong Kong, Mainland China, Cambodia, Myanmar, Laos, Vietnam, Germany, Finland, Denmark, Norway, Taiwan, Singapore, and the USA.